The Comprehensive Economic and Trade Agreement (CETA) facilitates entry to Canada for certain business visitors, investors, intra-company transferees, service providers, and independent professionals. CETA is a free trade agreement between Canada, the European Union (EU), and its member states. CETA facilitates entry to Canada for certain eligible persons by removing the requirement for a Labour Market Impact Assessment (LMIA) to be obtained before that person can legally perform work in Canada. The LMIA process ensures that companies in Canada may only hire internationally if it is determined that no Canadian citizens or permanent residents were ready and able to perform the role. The LMIA process also includes advertising requirements and processing times. 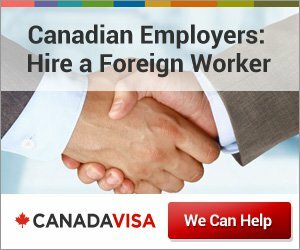 Consequently, being exempt from the requirement to obtain a LMIA can make the process of coming to Canada for work purposes much easier. The following pages explain the process in greater detail for each group of persons who may benefit from CETA. Two categories of business visitors may enjoy facilitated entry to Canada under CETA: short-term business visitors and business visitors for investment purposes. The intra-company transferee provisions of CETA are similar to the already existing Intra-Company Transfer program, with the addition of graduate trainees. Senior personnel and specialists may also to Canada without a LMIA. The investor provisions listed under the key personnel category of CETA are similar to the provisions found in the North American Free Trade Agreement (NAFTA). CETA facilitates the entry to Canada of certain service suppliers and independent professionals. Please complete this short form to submit your work permit query directly to our specialists. We will respond with an evaluation of your needs.